Fogo de Chão, the upscale chain of Brazilian steakhouses, has always primarily been an all-you-can-eat meat, sit-down churrasco dinner. Meals are usually full-service, as diners sample different meats roasted gaucho style (meaning cooked over an open fire) and carved table side. While none of that will change, On April 25th, the restaurant introduced their new, expanded bar menu—and it’s fabulous. The new “BarFogo” menu features small Brazilian plates that allow patrons to eat at the bar rather than partake in the full Fogo churrasco dinner experience, if they prefer. Menu items include braised beef rib sliders, jumbo cocktail shrimp, Brazilian empanadas, and crispy parmesan polenta fries. 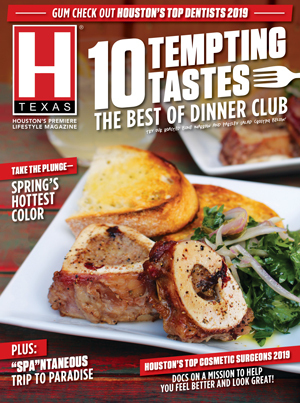 No question about it—the bar menu “bites” are delicious and can be entire meals in and of themselves. Craft caipirinhas and South American-inspired cocktails are also new at the bar, with names like “Flor de Fresca” ( a delicious blend of Argentinian gin, grapefruit, and honey) and “Brazilian Gentleman” (a tempting mixture of Bourbon and passion fruit). 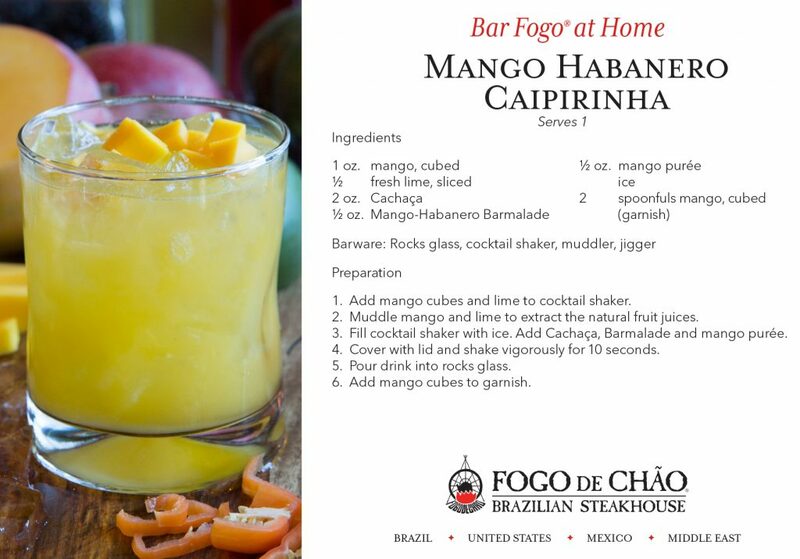 The Mango Habanero Caipirinha is a must-have for chile lovers, and the recipe is featured below courtesy of Fogo de Chão.